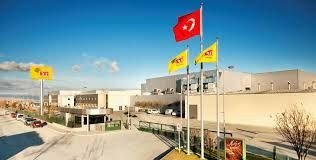 ETI is a leading FMCG company in Turkey, with a tradition over 55 years in the confectionary business and a presence in over 40 countries worldwide. With a portfolio of 45 brands and 300 products, with an yearly turnover of 1 billion Euro and 8 production facilities, ETI is continuing the development on the global market. Join our team of over employees and contribute to adding pleasure and happiness to the life of consumers through innovative and unique tastes.